Company of Heros 2 has been released; read our Company of Heroes 2 review to find out our verdict. “Tanks: nature’s ballerinas” is something Churchill didn’t say. If he had then he would have been roundly booed by the Society for Proper Representation of Tanks (SPRoT) and many years after his death would have been put in his place by the below trailer for Company of Heroes 2. What with all THQ’s financial difficulties the future of Company of Heroes 2 may be a little uncertain, however from what Paul’s seen of the game, and the previous trailer showed, it seems like we may be in for something a little special should it be released. 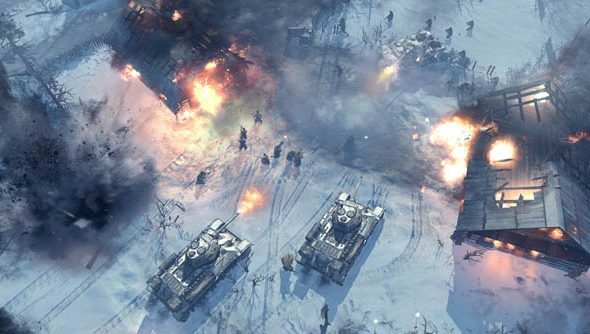 Company of Heroes 2 is currently set for a release in March next year.